First Dates is one of Britain’s most popular television shows as we all can’t help laughing at the many awkward moments and watching people fall in love. 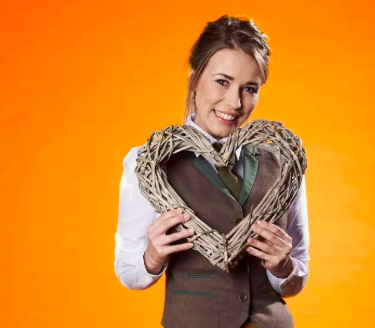 Surprisingly one of the best things about the programme though is the hilarious group of floor staff who play cupid on the show helping settle the nerves of the anxious singletons. The bubbly Laura Tott is perhaps our favourite of the bunch and recently it was revealed she has a very interesting day job which is rather unexpected because it’s completely different to waitressing. When she isn’t waitressing, 23-year-old Laura is an ambulance technician as she revealed on her Instagram account posting numerous snaps of herself in uniform. Last night shift before 18 days off. I’m happier than I look I promise! Photo taken before coffee. If you are unfamiliar with what ambulance technicians do, they are members of the emergency ambulance crew responding to 999 calls working alongside emergency care assistants and paramedics. Last night shift before 18 days off. I’m happier than I look I promise! ??????? Photo taken before coffee! Dog filter because I’m that exhausted but so, so happy! What a shift! Got to assist in my first ever delivery and was in the back of the ambulance too! Mum and baby are doing well. Tried to convince mum to call the baby Laura but it was a boy so I’ll let her off. On her Instagram Laura also revealed she joined the Royal Navy in 2015 being based on the HMS Raleigh in Cornwall. Before joining the Navy, Laura studied at Strode’s College, in Egham, Surrey deciding then not to go to university. Exactly a year ago today I joined the Royal Navy. I made some of the best and craziest friends. I’m so proud of all of you and I miss you so much. Laura’s posts about her Navy experience and her job in the emergency services receive hundreds of comments as people praise her hard work. Gorgeous and talented and doing amazing work to help others. How you are not married with your dream man by now is beyond me! What an amazing job to do. So much respect to our emergency services! Happy new year from us and A&E ??? Had no idea! Good on you girl. Enjoy your days off. Feel your pain re: nights. I never look like that after mine!! Keeping doing what you are doing, Laura! Incredible work! First Dates is currently airing on Channel 4 on Wednesday nights at 10pm.